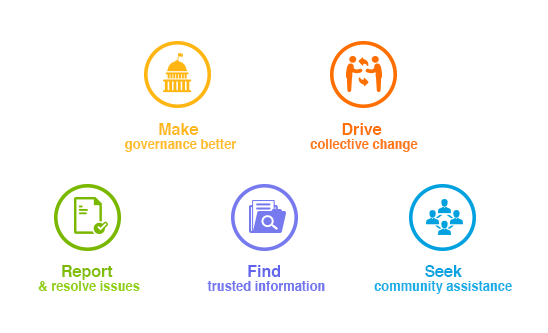 February 20, 2016: LocalCircles (www.localcircles.com), India’s largest citizen engagement platform today released the collective citizen inputs for the Union Budget in 2016. Over 200,000 citizens of India participated in this exercise across 300 cities and over 100,000 votes and comments were received across various polls and discussions. In addition to quantitative polls, qualitative discussions were conducted to understand what the common citizen wants from Budget 2016. Similar to the Rail Budget 2016 citizen consultation exercise where Services and Amenities was the top citizen ask and was incorporated by Ministry of Railways, this exercise has been another example of participative governance and making governance citizen oriented. 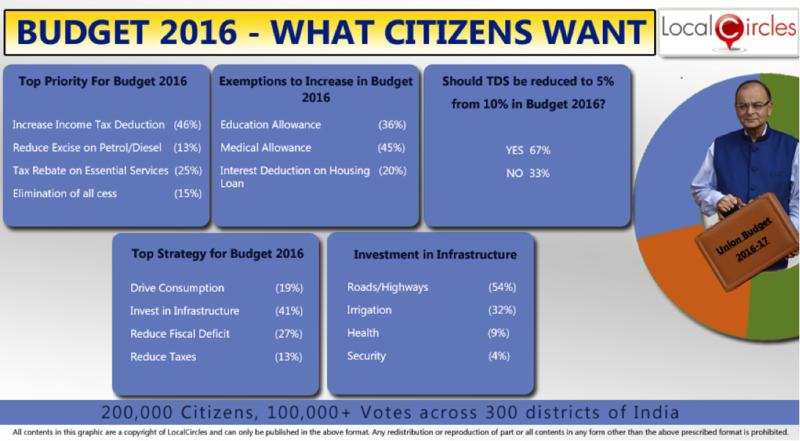 This report outlines the detailed results of the Citizen Consultation on Budget 2016. 12. Provide house rent deduction to pensioners as is the case with employed people.